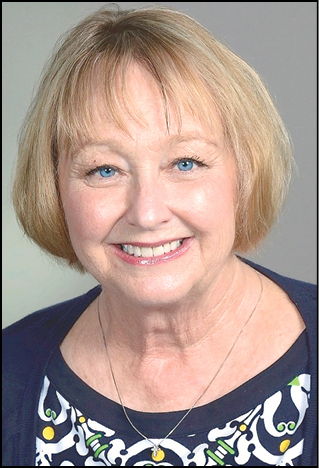 Bishop Jimmy Nunn has named Norma Gravley-Quinn of Lawton as new Conference treasurer, effective Dec. 1. She brings to the post decades of experience in finance as well as career ministry. She will follow Brian Bakeman, who has served as treasurer since 2006. He is retiring. "I believe that we are called to a ministry of generosity," she said. "How that is lived out in our lives will say more about how we embrace our discipleship. You give in gratitude, not out of duty. It becomes a spiritual journey." The Quinns find themselves packing moving boxes for the second time in recent months. They had relocated temporarily in late summer after a water line ruptured inside the parsonage of Lawton’s Centenary UMC, where Rev. Dr. Gravley-Quinn has served as senior pastor since 2010. She said they still have the boxes from that emergency move. Although her husband, Bryant Quinn III, retired in July, he hasn’t had time to relax, she said. Gravley-Quinn worked as an independent accountant and financial consultant from 1976 to 1997. She holds a B.B.A. in accounting, with honors, from the University of Texas at Austin/Hardin-Simmons University, Abilene. But the calling by God that she first felt at age 17 persisted, she said. She defined it as "restlessness." Living in Dallas, with two young children, the couple signed up for the Upper Room’s Walk to Emmaus. Gravley-Quinn had to be "dragged" there. But while there, "God said: It’s time, and it’s ordained ministry." She had been so angry when she set out for the Walk. Back at home, she told her husband they needed to talk. He wasn’t surprised, she said. "He saw that in me. I’m a cradle Methodist. I have circuit riders in my ancestry. My great-grandparents gave the land and helped build the church in Sweetwater (Texas)." She attained a Master’s of Divinity, with high honors, at Brite Divinity School, Texas Christian University, Fort Worth; she was ordained in 2003. She earned a doctorate in ministry at Graduate Theological Foundation, South Bend, Ind. Gravley-Quinn was an associate pastor at White’s Chapel UMC, Southlake, Central Texas Conference, as it grew from 1,100 to 11,000 members. She pastored OKC-Putnam City 2006-’10.